Kisher Coffee,A drink that is not quite a coffee or tea. For many coffee lovers like me, the rituals that comes in preparation is just as important as the coffee itself. 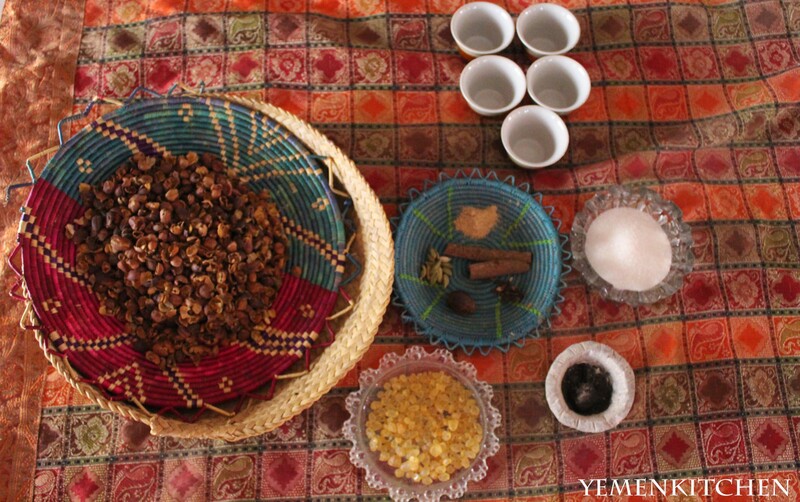 Having Kisher Coffee in Yemen is considered as the classic afternoon ritual for many Yemeni households. When Kisher coffee is served, it means socializing with family and guests had started. Kisher coffee is also good for digesting after a heavy meal, as it is usually accompanied with spices such as cinnamon, and ginger. 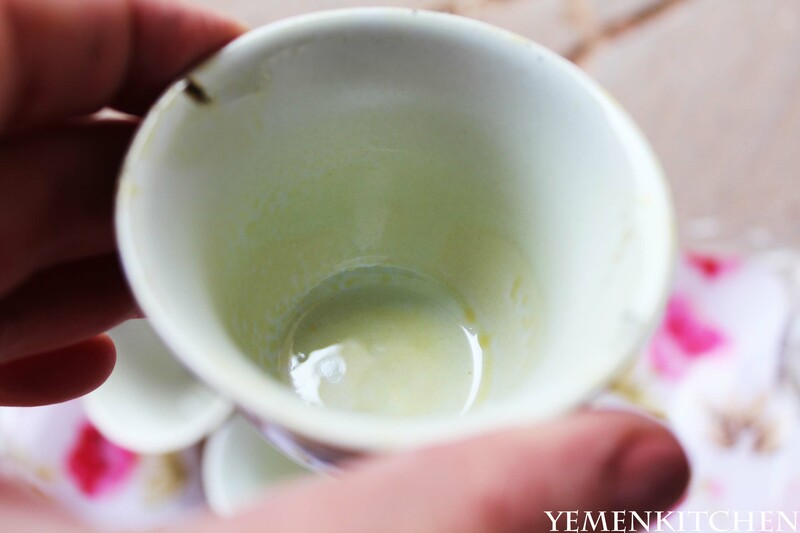 Sipping and enjoying a long afternoon with either some sweet dessert, or Thamool, (dry salty cookies) is one of the old traditions that Yemenis had kept since forever. 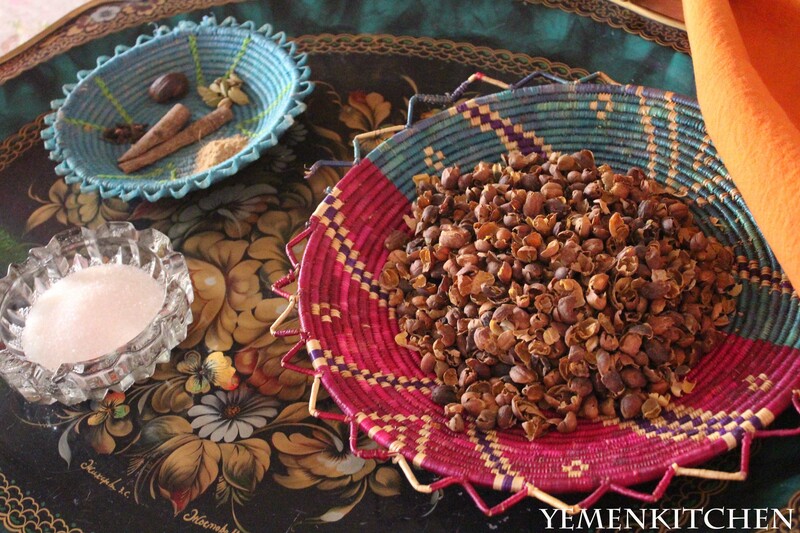 I find it brilliant how Yemenis make it important to produce tasty foods and drinks with minimal waste. Kisher coffee is one of those brilliant inventions. It is the dry shell of the coffee, which usually is thrown away .The coffee shell has a great –tea like- flavor with less caffeine than coffee and tea combined and provides a very healthy drink since it has so many anti-oxidants (1). Kisher (derived from the word Kishra قشرة (in Arabic language simply means the outer shell or skin. It is usually brewed with spices such as ginger, cardamom, and nutmeg. Usually for long time like 45 mints or with less amount of time, if desired lighter. While writing this, my mom insisted to explain in this blog that these ingredients are flexible to your taste, some households add ginger only, where some people like it with cinnamon and cardamom and the other stuff. The way my mom do it at home, is adding a little of everything, and let the Kisher brew slowly in the kettle until it turns to golden brown color. For many, this ritual is considered enough to make your cup of Kisher coffee ready, however, there is also a beautiful ritual that I would like to share with you from my family’s household that we used to do each Ramadan, or whenever we have senior guests since they still like to hold on to old coffee traditions. This ritual is smoking the coffee cups with Mistika. 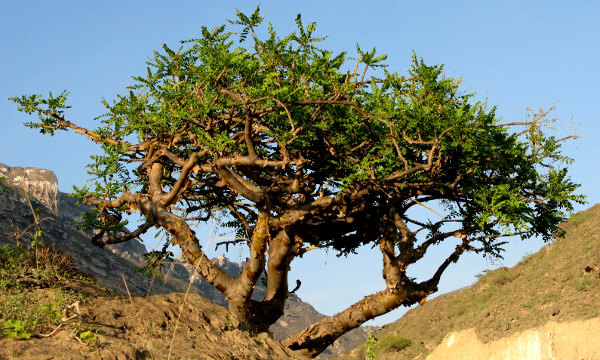 Mistika is a natural gum product from trees(Boswellia sacra) that is also known for flavoring desserts or food. It is also used in producing a pleasant smoky smells when burned with charcoal. Old Yemenis used Mistika in their rituals and prayers in their shrines, at the times; it was for Ilmaqa, the goddess of the Moon. Yemeni Merchants realized how much it was important for the prayers for many temples in Egypt, Ethiopia,and up to Jerusalem. 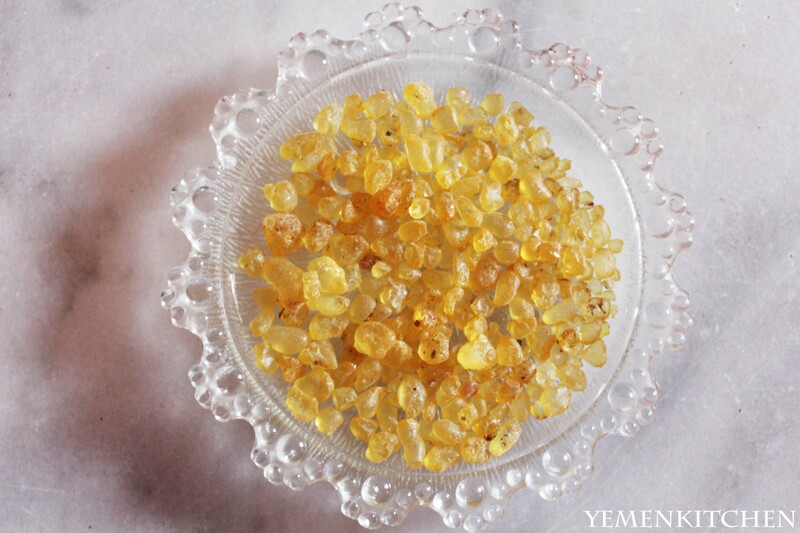 In a route famously named with “Incense Road” طريق اللبان و البخور,Yemeni Merchants traveled and exchanged Mistika with Gold and Silver coins and valued goods from those faraway lands, as it was so much valued in the process of prayers of old times religions. Today Mistika is burned to make houses smell pleasant, when people receive guests, and even believed to persuade the evil eyes to go away from the household and protect its residents. This ritual reminds me with Ramadan, a spiritual month that comes every year with so many cooking, and eating rituals. 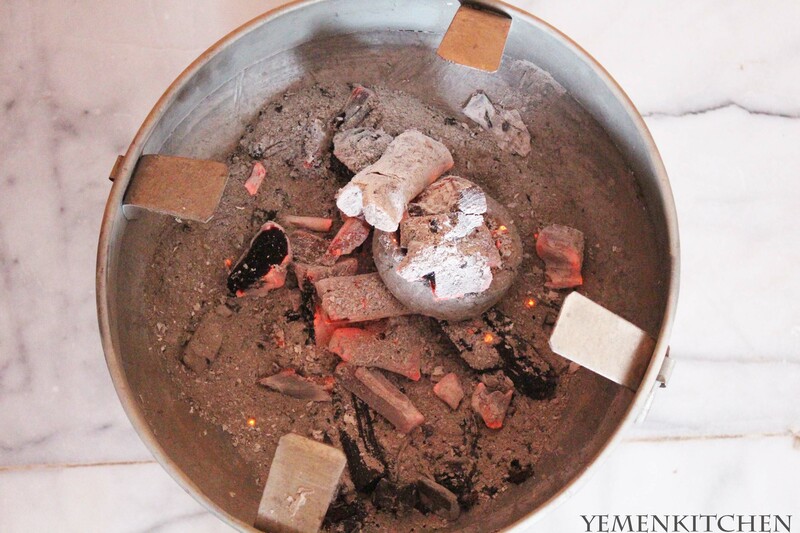 To smoke the coffee cups with Mistika you will first need to heat the Falss فلس, a block of carved stone on the oven with some charcoal to keep its heat. When it turns to red and hot, cover it in your grill for a while with the hot charcoal, until you know it maintained its heat. If you do not have Maoqad موقد, you can use your grill too. When Falss turn hot and red it is then ready to start smoking the cups. First start with putting Mistika pieces on top of the Falss. The Mistika will start burning. Quickly put the first cup for couple of minutes or until the cup turns into yellow/brown color. This color is actually sticky too. Do not worry, soon when you drink in a coffee this colored layer will dissolve in your coffee and brings a unique smoky taste in your coffee. First, Remove the first cup and quickly bring the second cup and repeat the process. Put more Mistika for more smoke and finish up the rest of the cups. 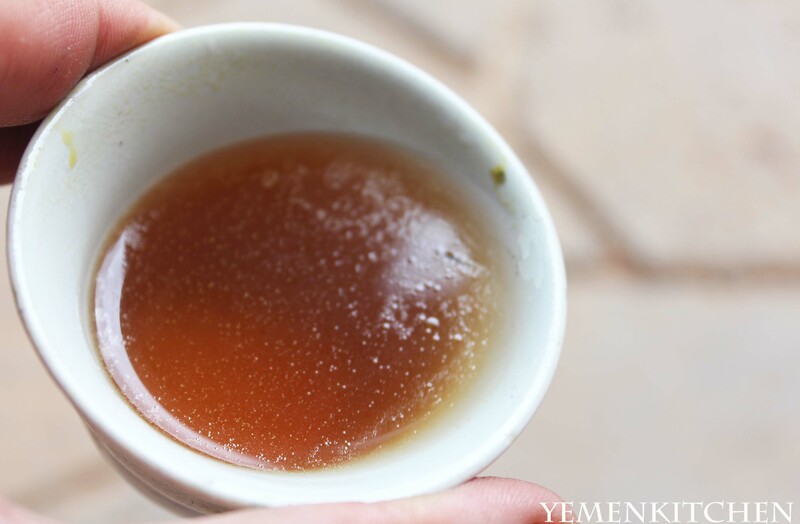 -Add water, sugar, spices and Kisher all together and let brew slowly until it turns to golden color. Thank you for following YemenKitchen.